Maybe you hit a plateau. Needed that extra burst of speed. Wanted more endurance. For whatever reason, you caved. You started using caffeine to boost your workouts. You felt yourself going faster. Harder. Longer. But do you know what you’re really doing to your body? How does it work? Although scientists aren’t 100% sure why caffeine can be so beneficial for endurance athletes, there are some things that we do know for sure. When you workout for an extended period of time, your body burns glycogen, which is basically just an energy reserve for your body. 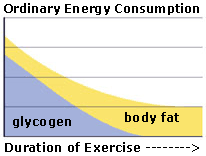 This energy reserve is limited, though, since it hasn’t been converted into fat or glucose yet. A high-level athlete can store at most 2 hours-worth of glycogen but most people only get about 20 minutes. Once you’ve used up all your glycogen, you get to burn the good stuff. FAT. The more you exercise, the more efficient your body becomes at using up fat, causing you to lose weight and become leaner. Caffeine actually triggers your body to burn fat instead of glycogen, which allows you to go for much longer without getting tired. Once you run out of glycogen your body knows you’re losing steam. But if you maintain your glycogen stores and continue to burn fat (which your body has a lot more of), you can go much farther without processing fatigue! 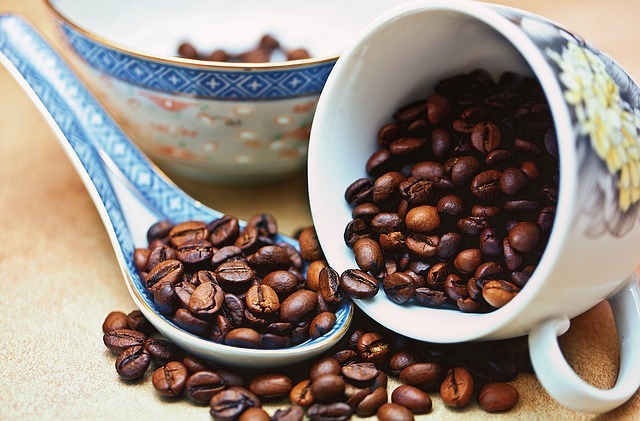 Now let’s look at some benefits and risks of using caffeine. Because caffeine causes your body to burn fat stores instead of glycogen, and you have LOTS more fat than glycogen, you can go farther! That’s pretty simple. Caffeine is also shown to be more beneficial to athletes who are already exhausted (which endurance athletes quickly become). Whether it’s running, swimming, or anything in between, a small dose of caffeine within an hour of exercising should boost your energy so that you can go significantly longer without feeling tired. Caffeine is also shown to improve alertness and increase focus. This may be especially useful when training if you’re bored or less than excited to go exercise. Taking a small dose of caffeine could pump you up (mentally and physically)! 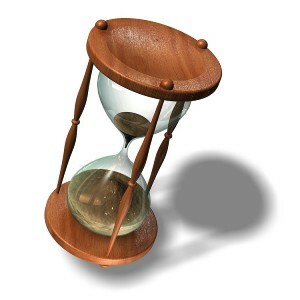 You’ll be doing extra sets and repetitions in no time, and you’ll barely notice the time flying by. What’s more important than speed in a race? Maybe endurance, but then again the point of endurance is to increase your overall speed. A small dose of caffeine can significantly increase speed for any type of physical activity. Obviously training and working hard makes much more of a difference than any performance-enhancing drug. But if you’re prepared and in good shape, caffeine can give you that extra little boost to keep you going long after your muscles should be feeling tired. If you don’t feel tired, you can swim faster! It’s that easy. The positive effects of caffeine seem to work only in short, endurance-based events. Caffeine isn’t useful for sprinting, only kicking in after about 4 or 5 minutes. Because you don’t use up all of your glycogen when sprinting, using up fat instead doesn’t increase performance. You wouldn’t have run out anyway…so it’s overkill. And unfortunately it’s not always useful for something like a marathon. The positive effects of caffeine tend to wear off after about 30-60 minutes. So you’ll get an extra boost at the beginning, but after a few miles you’ll feel even more fatigued once it wears off. Everyone has heard that caffeine is addictive. Well, it’s true. And not only does that have social and health implications, it can affect your performance. Using caffeine on a regular basis actually makes it less effective if you want the workout benefits. It makes sense, your body builds up a tolerance so you aren’t as affected by it, positively or negatively. Then there’s the fact that you’re ingesting a drug on a regular basis. Which is never good for your system. It also reduces motor control, causing shakes and tremors. 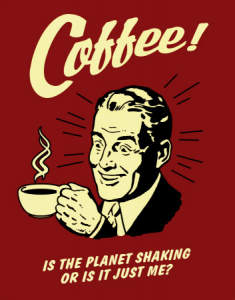 Caffeine is shown to increase blood pressure, anxiety, insomnia, and even bone loss. These risks are not to be taken lightly. When used in small quantities, the risks are much less serious. But if you happen to get addicted and you’re ingesting large amounts daily, you could be increasing your chance of early death by as much as 100%. What’s The Right Way to Take It? So it seems like there are definitely lots of benefits to using caffeine as a stimulant before exercising. Energy drinks have too much sugar and other chemicals. Coffee might actually negate the effects of caffeine. Taking it in the purest form is the best option. There are lots of caffeine pills widely available that are perfect. Studies show that caffeine is most effective when taken approximately 1 hour before exercising. The optimal amount to take is about 3mg/kg of body weight. Most caffeine pills are 100mg. So for a 180lb man (81kg), the right amount would be about 2.5 pills. Have you used caffeine in your workouts? Is it worth it? Tell us below!